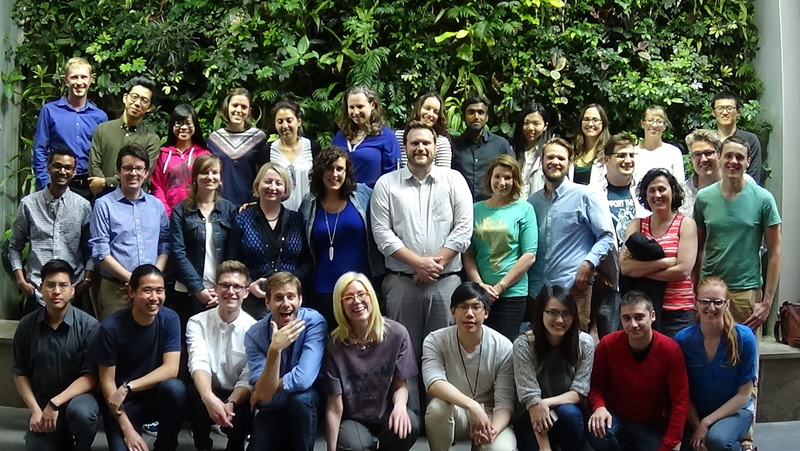 2015 Geothink Summer Institute students, faculty and staff after the conference concludes. On day three the big issues discussed included using crowdsourcing in governance and the idea’s future in the public sector. By the end of the day, one of our student groups, GeoOne, had been crowned the winner by City of Ottawa officials and each of its members presented with a trophy in the image of Geothink’s logo, printed by a three-dimensional printer. 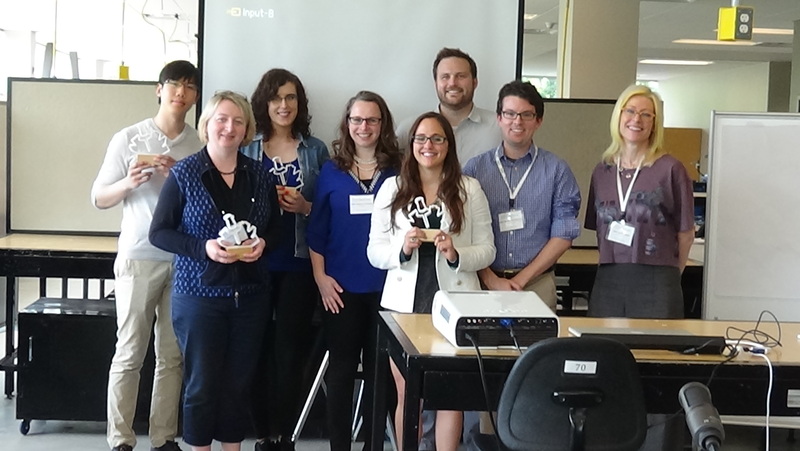 The winners, GeoOne, being presented their trophies by the Summer Institute’s faculty. But first, Daren Brabham, assistant professor in the University of Southern California Annenberg School of Journalistm and Communication, offered the students caution. In a morning discussion, he reminded students not all crowdsourcing endeavours have been successes, and that flaws in some crowdsourced data mean it has limitations, as was pointed out on day two. Furthermore, one must consider traditional forms of data collection in comparison to crowdsourcing, he said, because whole institutions and professions exist to support such data collection’s objectivity. For Brabham, however, this doesn’t mean crowdsourced data should be discredited. In fact, many aspects of the technology ensure it’s a very democratic way of making decisions and collecting data. The rest of the day leading up to the presentations was given over for students to fine-tune their pitches for the City of Ottawa and finalize their presentations themselves. Seven groups competed: GeoOne, GeoPlay, GeoWild, Grads Gone Ottawild, Ministry of Municipal Engagement, Terra Solutions and Wild VASS. The excitement in the room before the first presenters began was palpable. This may have stemmed, in part, from the realization that the City of Ottawa and its citizens needed actual help rather than this being just some academic exercise. For some students, this meant the stakes were higher. Stay tuned for more iTunes podcasts from the Summer Institute here, and, of course, watch more of our video clips (which we’ll be uploading in coming days) here. If you have thoughts or questions about this article or the video content, get in touch with Drew Bush, Geothink’s digital journalist, at drew.bush@mail.mcgill.ca. 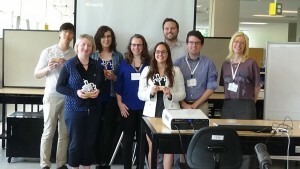 This entry was posted in In The News and tagged challenge, City of Ottawa, crowdsourcing, Daren Brabham, GeoOne, Geothink, geothink students, ottawild, student presentations, Summer Institute, winner on July 7, 2015 by Drew Bush.